As March draws to a close, the rainy season is clinging on by its slippery fingernails. Normally by now we would have seen the last of the life-giving rains, but still we are seeing build-ups of clouds each afternoon. This of course leads to spectacular sunsets, the sky barred and streaked with orange and pink. It can also of course lead to rain of varying amounts, one can suspect a very cold winter ahead. 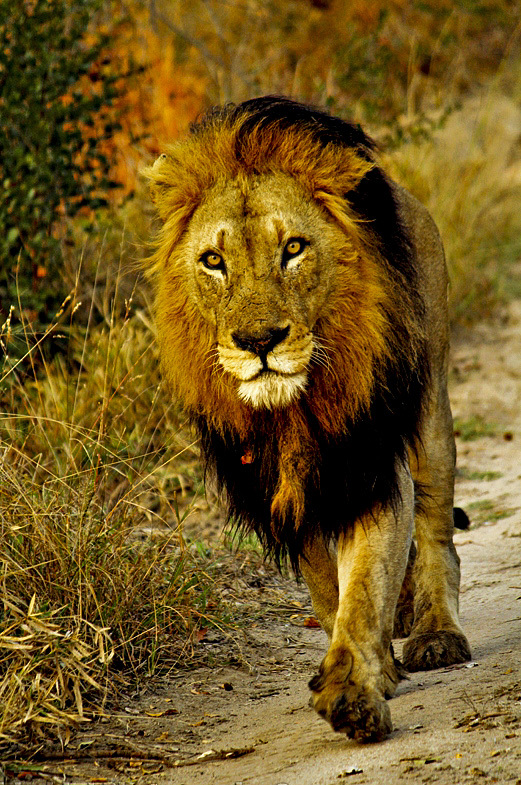 Lion viewings have been constantly great throughout the month of this report. The three remaining Mapogo are still going strong and they spent most of the month in our traversing area. We finally had a good view of the Ximungwe female with the tip of her tail missing and her eight weeks old cub. 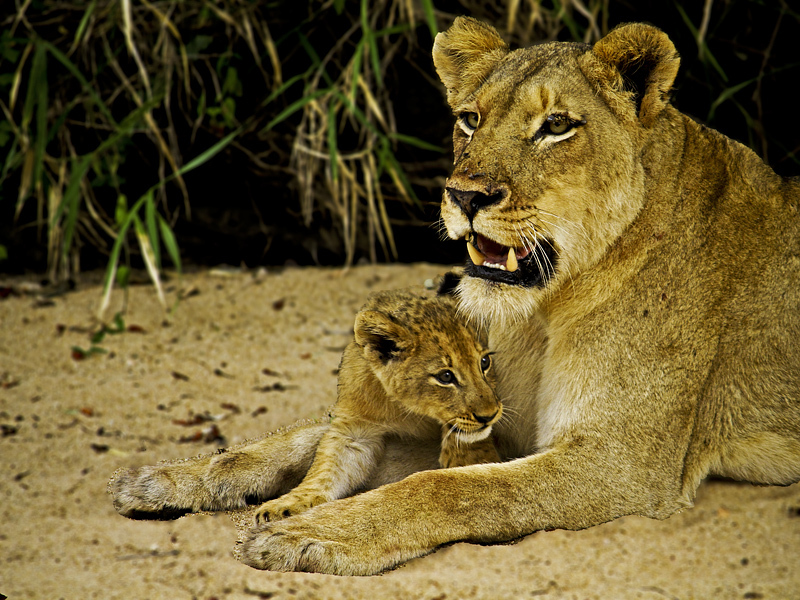 She and the female with the two older cubs had an impala kill near xikwenga dam. We only got to see the one cub, which is fantastically relaxed and gave us some great viewing. We were bit concern about the missing cub but its alive we saw them again few days later it must been resting out of site in some thick bush with a full belly. We did get to see Ottawa pride couple of times this month, the adult lioness of the pride is missing, the pride have been calling and searching for her. Some of this calling attracted the Mapogo that came and chased them towards the eastern section of the reserve. Metsi female leopard and her two cubs have been scarce too; luckily she caught an Impala which she then took her two cubs to. The guests were spoilt with the 3 Leopards around the kill, the two Cubs added to the excitement with them running in and out of trees and constantly stalking each other and being very playful as young cats are whether big or small. Hopefully we will see more of her and her two cubs soon, she is a stunning successful mother with her first litter. Ndlevane male leopard made his appearance a few times in this area, he is about 5-6 years old, light blue eyes and very distinctive small ears, he is trespassing over Xinzele’s and Kashane’s male leopards territories and Xinzele have had to face him in battle that last a day and with no real winner. Later this month, Hlabankunzi female leopard and her cub had a kill, which was later stolen by the Makhulu Mapogo male lion. We found them again in the morning with the cub in a marula tree, and the male lion feeding off the remains of an adult impala kill. 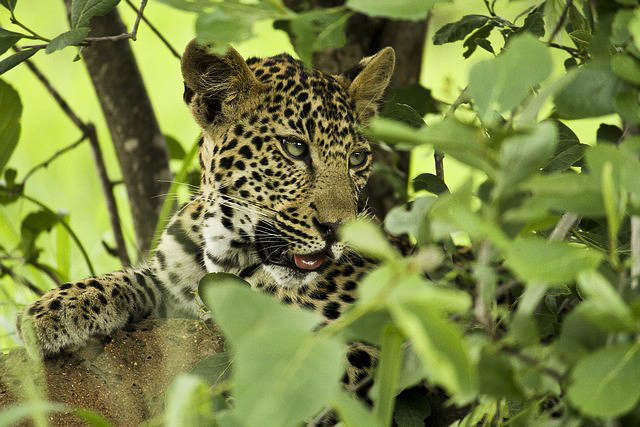 Tlangisa female leopard has once again caught a young duiker, and kept it alive for a long time while playing with it. The duiker was making many distress calls, which would have alerted any nearby predator to her presence, and usually leopard tries to keep it all silent, luckily for her no other predator that heard it. The Male Cheetah with the drooping bottom lip (Makamisa) has been seen numerous times on drive. On one morning we saw him playing “Cat and Mouse” with Khashane male leopard, he trailed our cheetah male for two hours the other day, luckily he got away unharmed. 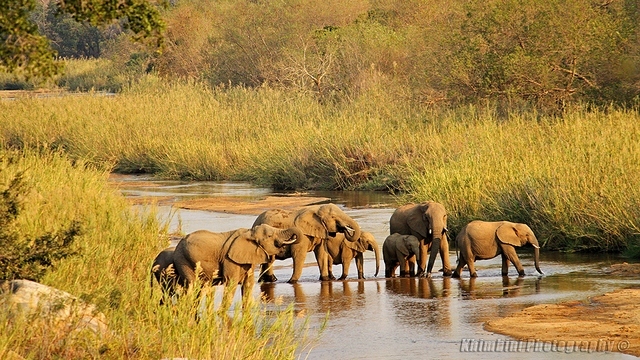 The elephant viewing has been fantastic as the bulls and herds have flocked to our area to feed on the marula fruits. We also had a great sighting of a herd at the Sand River, where after they all drank quite a few of them were lying down and playing. Buffalo sightings have been really great for us throughout the month due to the regular visits of the big herd, which consisted of about 400 individuals. We do still see the small male bachelor herds all over the reserve especially along the Sand River. 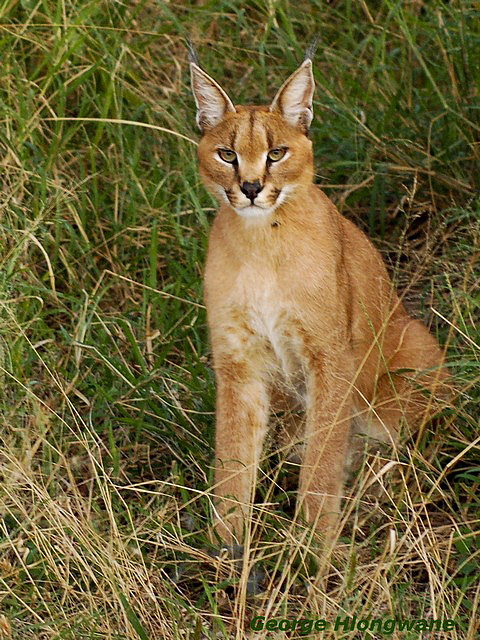 Some of our guests were privileged to get a great view of uncommon creatures such as Caracal and it was so relaxed in the presence of the vehicle. Those who have seen them before, usually only see them at night and as it disappear from sight! Later in the month George and his guest got lucky again he killed a bird (fork tailed drongo) right in front of their vehicle. The pack of wild dogs has also been on the property for some part of the week. There are still 7 dogs, and they all seem to be in good health and doing well! We had a fantastic sighting of them as all playing and mock mating on the open field. Interestedly two female looked heavily pregnant and should only be one, the alpha female to breed. They are starting to investigate den sites close by, but they have moved east in the meantime. Hopefully they will return soon, as they’re always incredible viewing. Our resident general game, warthog, nyala, bushbuck and kudus have remained around the lodge entertaining our guests despite the abundance of food else where. Its have been awesome to see them raise their young trough a day to day struggle of survival. Even the big lion Mr T visited us. That’s all from us this month, We thank you for spending few moments with us in the wilderness, shared our experiences and joined our adventures, we are committed to keep you updated.